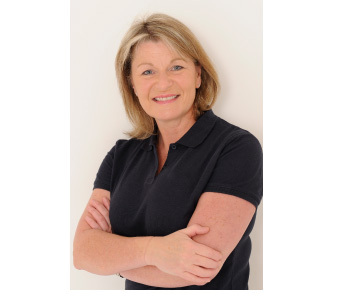 Shelagh Bryce BA RMT DSM DOSM is a graduate of the Scottish Massage Schools in Edinburgh and holds Diplomas in Remedial and Sports Massage, Swedish Massage, Indian Head Massage and On-Site Chair Massage for business. Shelagh began her career in the early 1980’s after achieving a BA in Home Economics from Queen Margaret College in Edinburgh. After a broad experience within the retail sector, she joined the Scottish Drinks Industry in 1990 spending over twenty years in the corporate world of Sales, Marketing and Customer Service. At the core of her role was smoothing out problems, making processes and systems flow better, alleviating tensions and bottlenecks and making structures function as effectively as possible. Shelagh draws some similarities to her past career and her role as a Remedial Massage Therapist. Within massage therapy, her aim is to reduce tensions, make structures perform more effectively, reduce stress and improve overall function. Her experience and understanding of the effect of stress in the workplace and pain and discomfort caused by musculo skeletal issues in today’s working environment has helped her gain a great understanding of client issues and sources of pain and restricted movement. It was her partner’s Sciatica which converted her to a career in massage therapy. Starting a course in Swedish Massage initially only as an interest in order to help relieve his pain, she found she loved massage and was fascinated by all the different variants of therapy. (Incidentally, Simon of Stirling Massage Clinic was Shelagh’s first massage tutor). When the opportunity arose, she took the decision to make a significant career change and set up business as a Massage Therapist. When Simon then asked Shelagh to join his team at Bridge of Allan Sports Club she was honoured to be asked to be part of such a well-respected team. After completing her Swedish Massage Diploma, Shelagh went on to gain Diplomas in Remedial and Sports Massage and On-Site Chair Massage for business. In addition, she has completed training in Massage for People Living with Cancer and has worked on a voluntary basis through the Iris Cancer Partnership at Strathcarron Hospice. While working at Bridge of Allan Sports Club with the team at Stirling Massage Clinic, Shelagh has also undertaken an Indian Head Massage Therapy Diploma, Aromatherapy facial massage training, Thai Foot Massage training, Hot Stone massage training and a Myofascial Release Foundation course. More recently, Shelagh’s continuous professional development has included a number of Advanced Clinical Massage Therapy workshops with the Jing Institute of Massage based in Brighton. The Jing approach focuses on a fusion of Eastern and Western techniques. This level of on-going professional development training combined with a number of years of experience gained in a busy clinic has allowed Shelagh to determine the best techniques to use in each individual situation with her clients. The core of Shelagh’s approach is very much about treating every one of her client’s as a unique case, assessing the presenting condition and establishing a workable and progressive treatment plan which is appropriate for and mutually agreed with her client, always taking into account the clients own goals and personal situation. Shelagh is a member of the CNHC (Complementary and Natural Healthcare Council) and the SMTO (Scottish Massage Therapists Organisation). In her life outside massage therapy, Shelagh spends her free time hiking, swimming, running (a bit! ), enjoying Pilates, wake surfing in the summer months and more recently she tried snowboarding for the first time. Shelagh works with Stirling Massage Clinic at Bridge of Allan Sports Club all day on a Tuesday and on a Thursday morning. Her telephone number is 07581 372925.